John Pendleton Kennedy, 1795-1870 Horse-Shoe Robinson: A Tale of the Tory Ascendency. 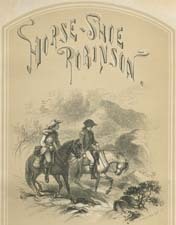 Horse-Shoe Robinson: A Tale of the Tory Ascendency. New York: George P. Putnam, 1852.